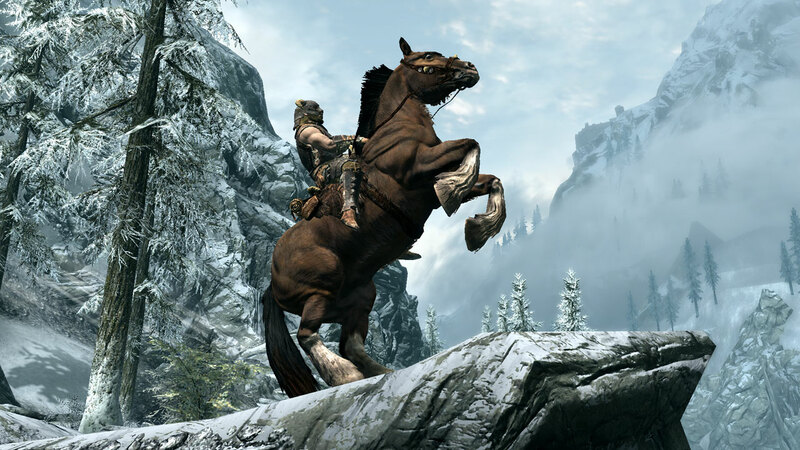 IMG has develpoped over 50 mods for Bethesda's Skyrim with Over Half a Million Downloads . Including massive quest mods such as Molag Bal's Inferno, Descent into Madness, Pirates of Skyrim, Become a Skooma Drug Lord, and Castle Gonduin. Enjoy all our free content in your questing across Tamriel. 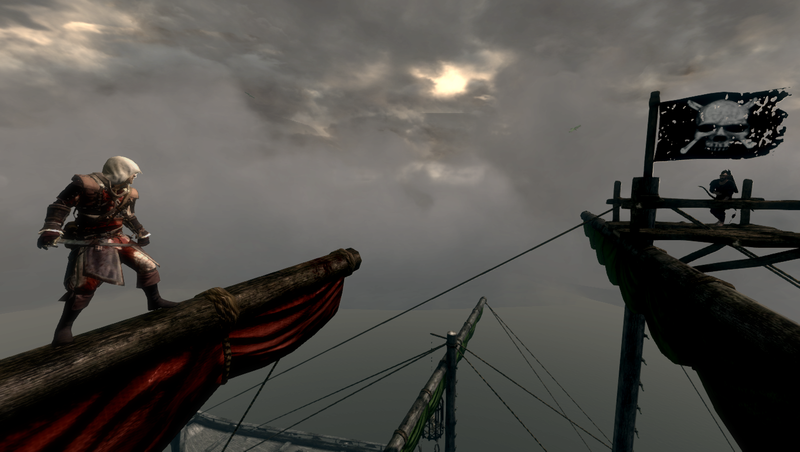 Sail the Northern Cardinal (that's the ship's name if you haven't played the mod before) to the Sea of Ghosts and explore the ocean floor. Dive for pearls the size of your head and discover sunken ships filled with treasure waiting for you to loot them. 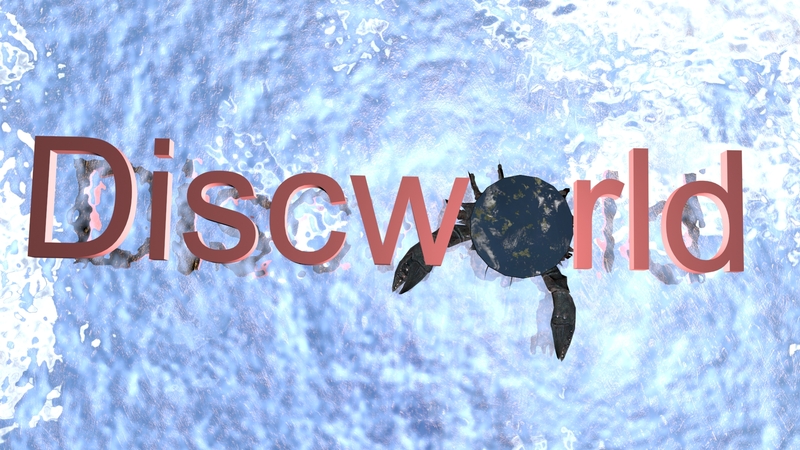 Rescue a shipwrecked blacksmith from a slow death at sea and make him part of your crew. The 'ocean features' (as I call them) like wrecks and treasure etc. spawn and unspawn randomly every time you sail the Sea of Ghosts creating the illusion of an actual ocean you are sailing. complete with enemies, bosses, special rewards, and an overarching quest. Dragon break adds 2 unique voiced companions available after their introductory quest. Part 1 takes a little over a hour and part 2 the same. This Mod adds 6 Quests, 8 new voiced NPC's, 25 new Weapons, 3 new Shields, 2 new Armours, 5 new Dungeons, a new Follower and a Player-home. You can start the Mod by heading to Riften. 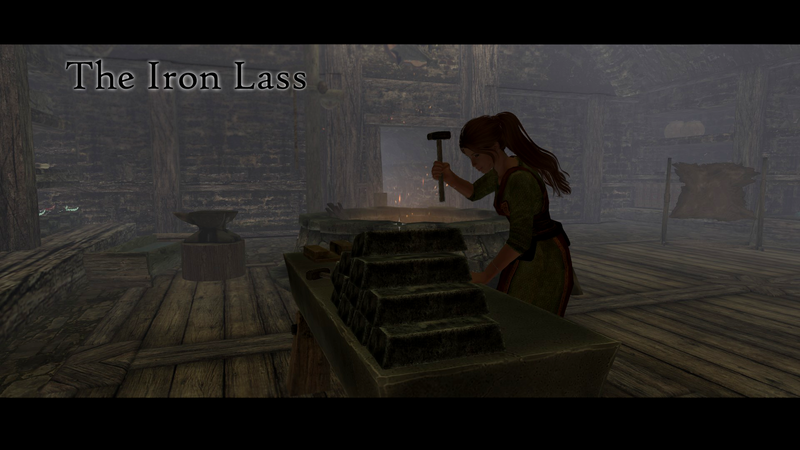 Navigate your way to the under-croft, and directly below the Bridge to the Bee and Barb, you will find a new Blacksmiths workshop called "The Iron Lass" Head on inside and speak to a new NPC, Mellori. 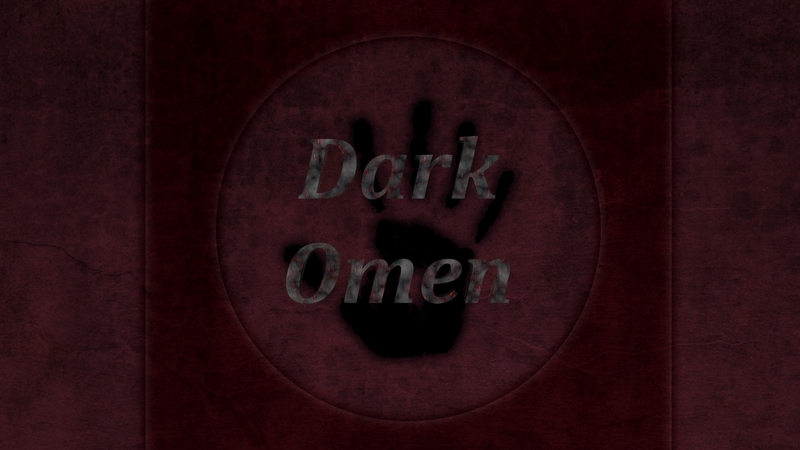 Mellori will be the quest giver of this mod. She will give you one small intro Quest, and 4 Larger proper quests with a side-quest inbetween. These quests will all have custom factions and weapons involved. The extra special thing is the NPC Bosses. These are all custom Voicacted and have something to say so feel free to have a chat with them before you do anything rash. These are not the only voiced NPCs, so keep an eye out during the quests for more! Descent Into Madness is a split quest epic mod in the Sheogorath scheme of TES adding over a hour of game play for each side. To start your epic journey Take a nap in your bed at Breezehome, you need it you're tired. Adds the Master level wizards staff 'The Elianora' to the Forge crafting menu. It will show up under Misc if you have Master Destruction and Level 5 Enchanting. The mats required are obscene but then again the weapon is worth it. 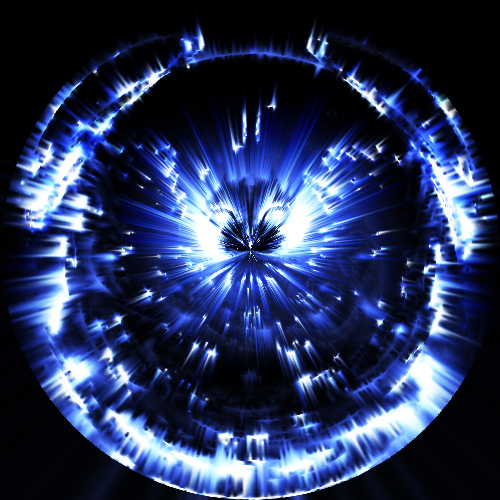 The weapon has a rotating visual effect between Fire, Ice, and Lightning. The visual cues in no way effect how it fires. It default does around 40 points of damage on the base and can trigger 7 different effects. Every time you hit someone with the effect it will drain 10% of your current health to cast. This is first and foremost A test. There is a lot of land empty, there are probably still bugs I haven't found, There is a lot of QA that needs to be done to tweak some aspects. 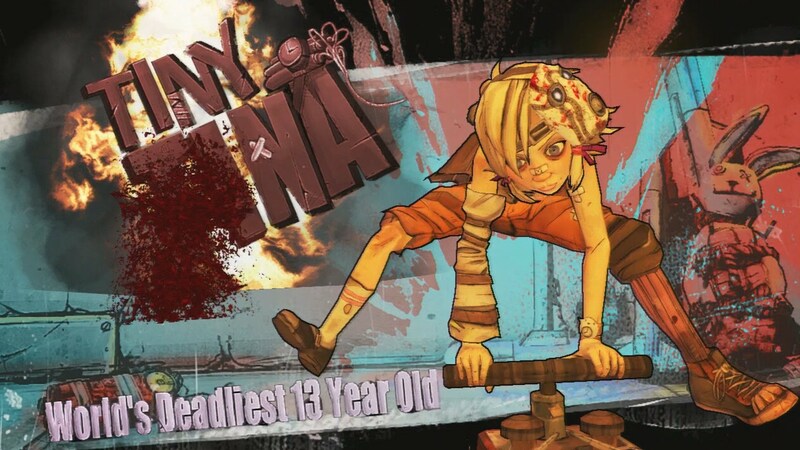 There is also far less 'discworld' than I would have liked and it is mostly myself to blame. I got distracted on side quests and populating the world and also fell ill for a few months which degraded my modding. For the next few months my sole objective is getting more and more actual discworld into the mod. Sidequests will be added all over to fill in and give the world more life, but those will be written and cast by others. As usual, a more detailed and in depth version of this will be in Discworld, with a quest and more insane procs etc. 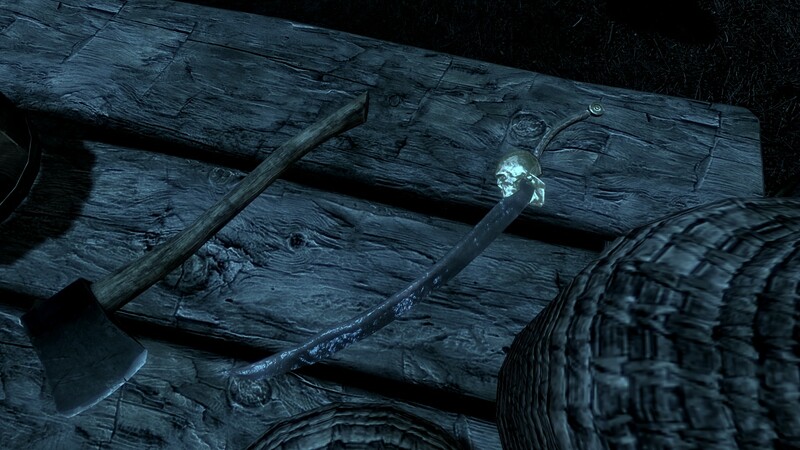 Adds a weapon in the War Quarters in Blackreach, the weapon is old and rusted from time but it still thirsts for the souls of the living. The sword requires 10 souls to be repaired and 50 souls for each rune upgrade afterwords. The sword can only be upgraded at the SoulForge located right next to where you find it. Once a rune is equipped the sword has a chance to proc each blade evenly on weapon draw. So with the first two runes you have a 50/50 of each per weapon draw, all 8 25/25/25/25. 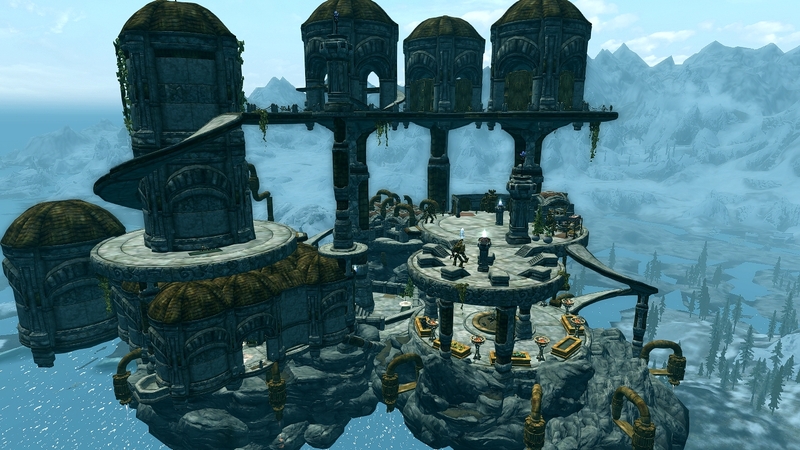 Adds a moderate sized Dwemer style floating estate nestled in the clouds north of Solitude. Head South-West out of Falkreath to start the quest to obtain the Stratos estate. The player home can be entered through the throne hall or through a side door. The home offers a lot of storage and amongst other things mask holders for all vanilla Dragon Priest Masks, 16 mannequins, 12 display cases and 25 weapon racks in 7 rooms. Furthermore you can find a fully equipped alchemy and enchanting room as well as a treasury and a library with 3 bookshelves. This mod contains more than 40 NPCs. Some of them can be taken with you as followers or train you. Others are merchants or just guards doing their patrol. Adds a new cell in Blackreach with a hidden secret. Once you acquire the schematics you can craft the Turret reagent to use in the summon spell. Turrets work like normal summons except they are immobile. 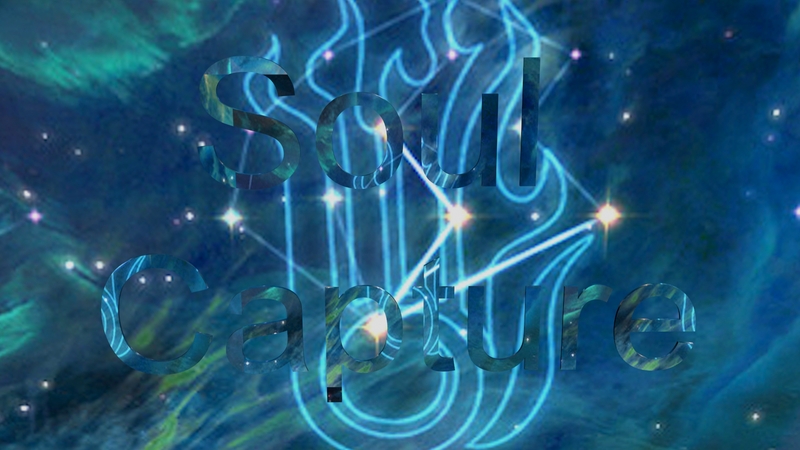 They will track and fire at enemies within range and explode on death or on unsummon. Turrets have a max and min height they can fire at from their current location. 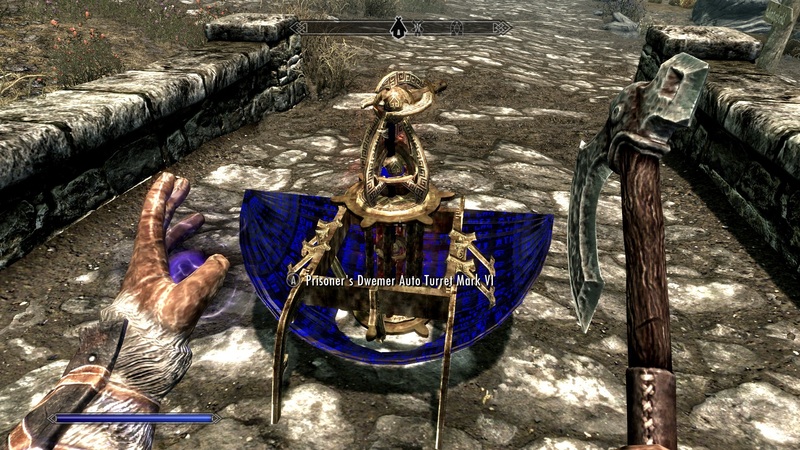 All Dwemer Centurions will acquire the ability to summon the Red Variant of the turret. Player gets the Yellow Blue and Green summon spells. Spell costs sub 20 mana, crafting is under Misc in the crafting tab at a forge. Had some spare time this evening and was practicing my Texturing, and thought I'd Upload this one! Adds All Hallows Blade, an Ebony sword to the game. Get a pre Enchanted one ate the Riverwood Woodmill (On the Table) Or craft as many as you like! Fully custom Mesh with 2K textures. Note: Broken Bloodsplatter now fixed! 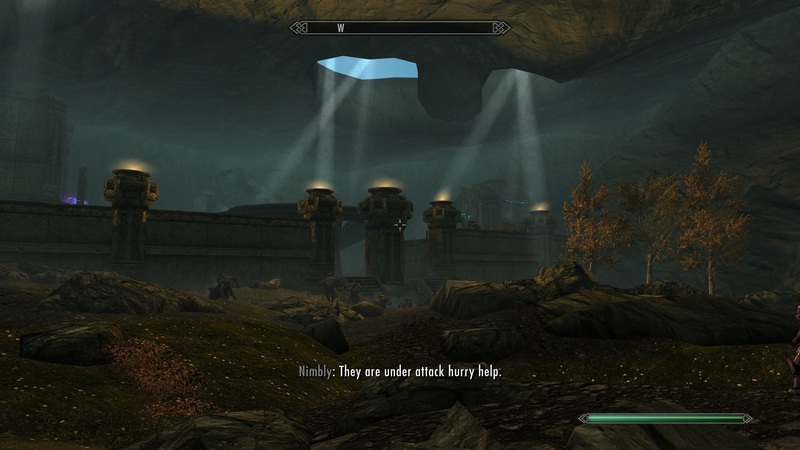 A quest mod seamlessly intertwined with the vanilla thievesguild questline leads you to a fully operational skooma lab. There you will meet the main quest giver - Da'rhakaz - a master skooma 'cook'. Through the serious of around 10 smaller quests 'Skooming Skyrim' will let you become a true Skyrim Skooma Dealer. 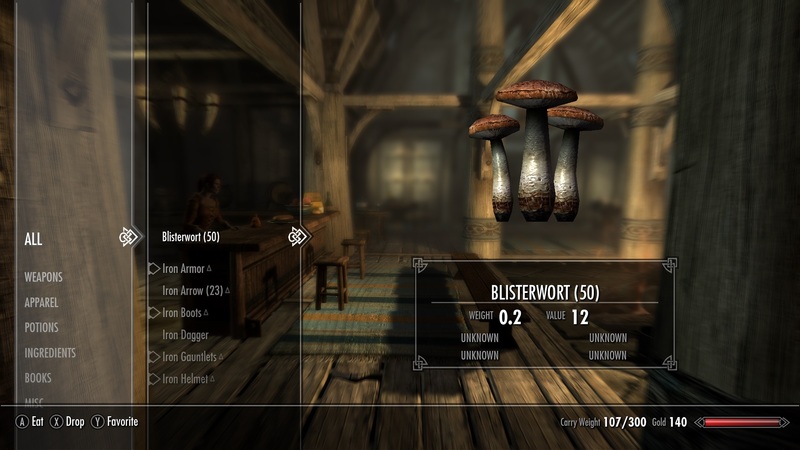 'Cook' skooma, upgrade your lab, distribute your product, master the art of 'cooking', make the right connections, dispose of too many 'cooks', and stay under cover so the drug enforcers won't catch you, and maybe soon you will become Skyrim's Druglord. Adds a large variety of Voodoo/Witch Doctor themed items, armor pieces, weapons, and spells in order to provide everything needed for the ultimate Witch Doctor experience. All armor included is highly modular, meaning that there are hundreds if not thousands of possible combinations. The Voodoo themed spells are not merely handed to you as spell tomes, but rather require perk investments in order to unlock their true potential. The way I have implemented this nonetheless guarantees 100% compatibility with all perk overhaul mods. Fighting Style? Dual wields "Black Viper Swords"
Can I obtain the armor? - Yes, "help "viperchest""
Why loose files? Make bsa you f*ck! - Mind your manners. I would have made a bsa, but compressing the armors makes the game crash. So deal with it. 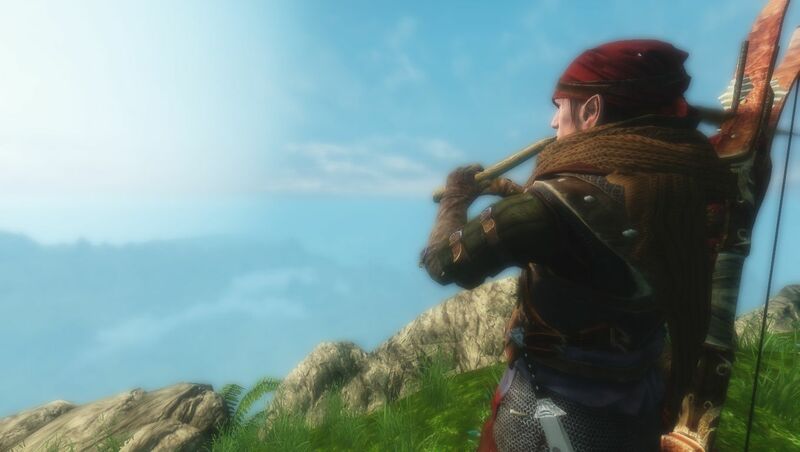 Adds an NPC (Sario) near Dragonsreach entry who will give you the legendary 'Flute of Time' (NOT actually an item but a lesser power). He will also teach you the first song 'Sario's Song' (get it? -_- ). As of now, there are five songs: Sario's Song, Aventus' Lullaby, Song of Storms, Song of Time, and Market Cheer. Each of those songs provide a special magical power. 1. 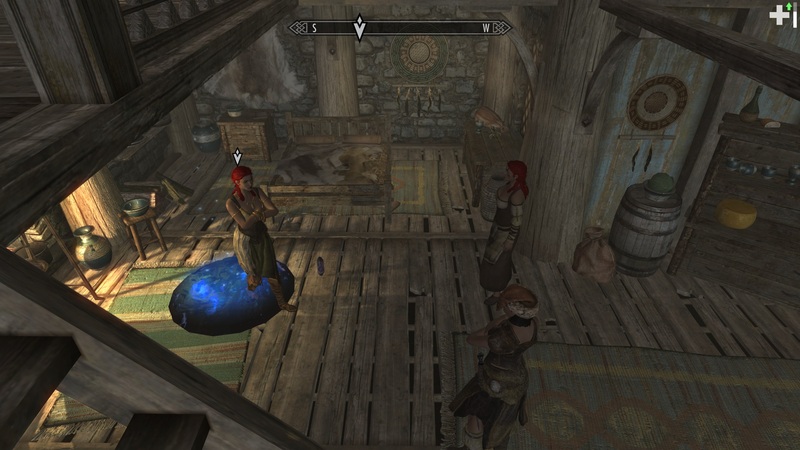 Sario's Song -> duh, Sario teaches it to you (near Dragonsreach entry). 2. Aventus' Lullaby -> A boy who lost all but the sheet music to his favourite lullaby. 4. Song of Time -> those who follow the thieve's path, even in betrayal, will come across the song of time. Makes it so wildlife (deer and elk types, skeevers, wolves, bears, sabrecats) becomes scared of you once you pass (configurable) levels. No more moronic wolf behaviour that forces you to one shot a pack of wolves in an inuhmmersive fashion. Wildlife now anticipates your coming and decides whether to fight or flee based on your settings/strength. Finally, you will be able to walk through the Rift for 5 minutes without having to kill 300 bears! Every feature is customizable and can be deactivated/reactivated at any time. As an added bonus, this makes hunting deer more uhmmersive, since deer will anticipate better and flee faster, as the mod makes them speed up once you approach. Unless you remain undetected, like a true hunter would. A completely new and independent dungeon-crawl with unique design, new enemies, rewards, custom events and a very memorable and challenging boss fight. The dungeon takes place in a "dream world" and is thus compatible with just about any load order. Dawnguard & Dragonborn are required. Drag & Drop the bsa + esp in the data folder and tick the mod to play, or use the mod manager of your choice. Enjoy and check out my other mods! 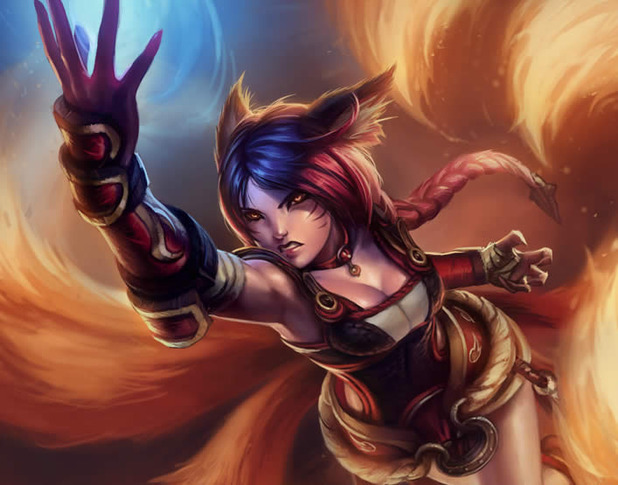 Q: Where to find her? Q: Can I marry her? Q: Can I get her armor without having to take it from her? A: open the console and type "help sexytestchest". use placeatme to place that chest next to you. I would encourage any of you that voted for FOTM and endorsed to go throw your hat in for someone who took some effort on their work Hell check out my other mods (Skip some of the spell ones unless you want a laugh) I ain't above self promotion. 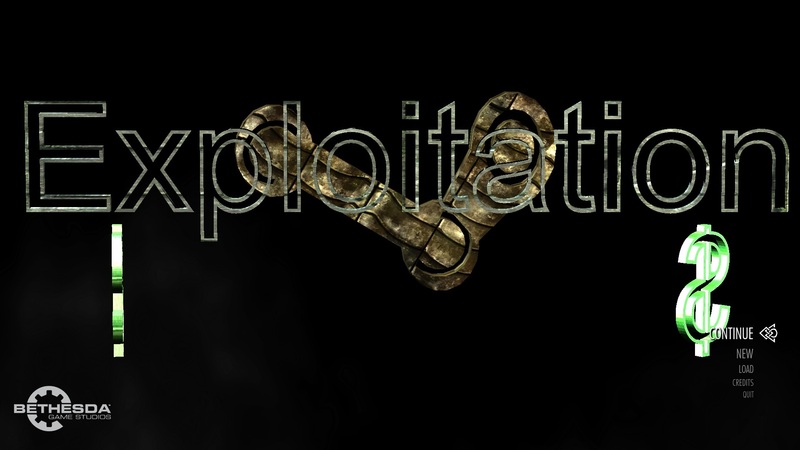 But it's over, we won, time to start making something from the ashes we kindled but beth/valve intentionally set. 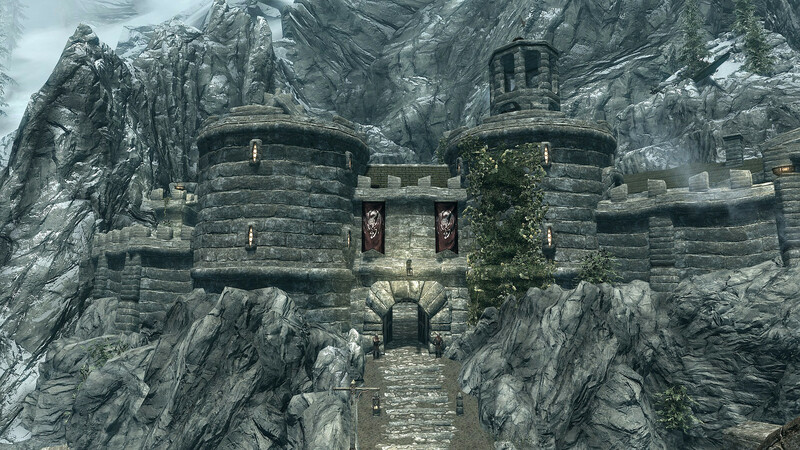 A sunken fort that was concealed in ice has opened up in Winterhold. Will you be brave enough to explore the ruins and uncover the horrible contents of its hallowed halls. 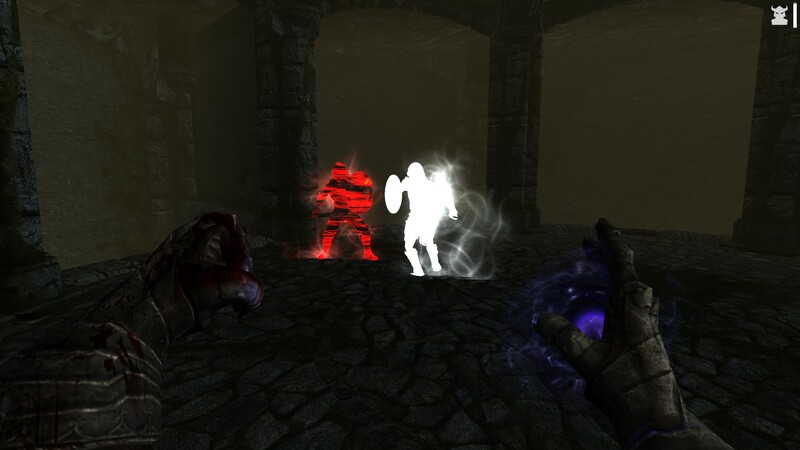 Each level has two different phantoms, a Warrior with sword shield and heavy armour, or a Rogue who uses a bow and a dagger in light armour. 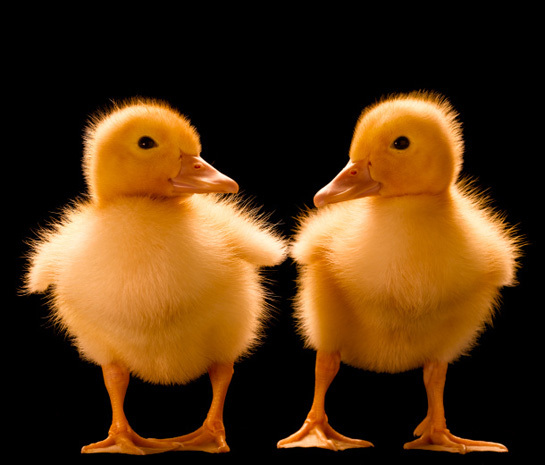 They will follow you and fight for you until death or until they dispel. A must have mod for any Magician or Dark Souls fan.